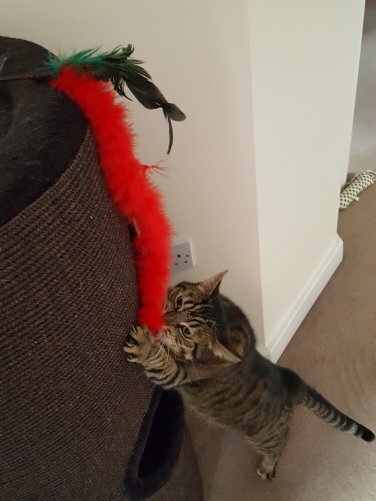 The Tail Tikkler is one of those toys that’s great for an interactive game with your cat. 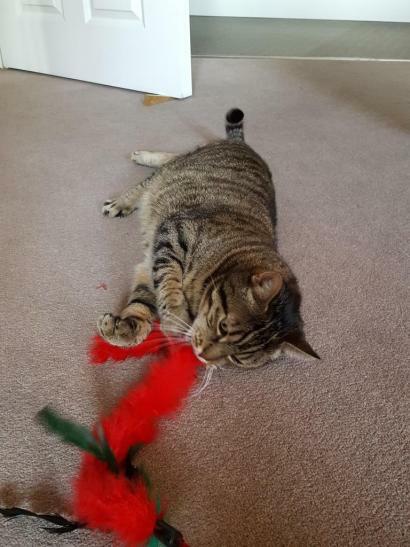 I make Dirk chase it around the house or up and down the stairs. We also play with it around his scratching barrel – at the moment it’s ‘hidden’ inside the scratching barrel! I love this toy as it gets Dirk running, jumping and climbing. 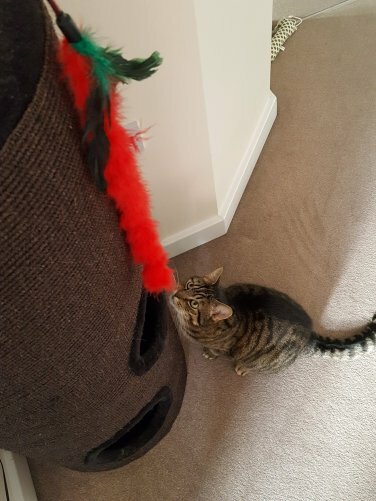 What’s that up there on my scratching post?? It looks interesting, let’s have a closer look.